PRODUCT DESCRIPTION Wholesale design custom printed cat watches Style: led watch Category: Wristwatches Item No. 4, We also accept third inspection and test about the material or goods. 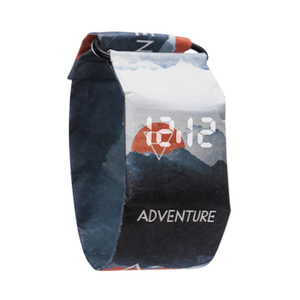 Wholesale hot lava mens watch led watch Warmly welcome to visit our website and factory! 2 YRS Yiwu Sebell Commerce And Trading Co., Ltd. Fashion Sport LED Watches Silicone Iron Man Digital watchesTriangle Dial snake head Cobra Men's Watch LMW-3 Boxes & Cases Material:none Style:Fashion & Casual Gender:Women Condition:New without tags Dial Display:Analog Feature:Water Resistant Case Shape:Round Band Material Type:Silicone Band Length:24 cm Product Type: 2015 New Arrival! 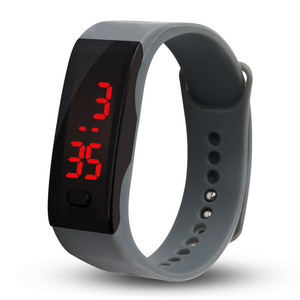 Fashion Sport LED Watches Silicone Iron Man Digital watchesTriangle Dial snake head Cobra Men's Watch LMW-3 Band Material: Silicone Band Watches Colors: 13 Colors available (according to the picture) Watch Diameter: 10 MM Size 24*2CM Price: $0.2 -$0.99, Welcome to contact us for the Newest Price!!! Our products are widely recognized and trusted by users and can meet continuously changing economic and social needs. Promise: Welcome OEM/ODM orders,we promise that we will offer free design,prompt reply and excellent service,high quality with competitive price. Logo,models & package can be customized according to requirement. -------That's all Biles Team's Promise. 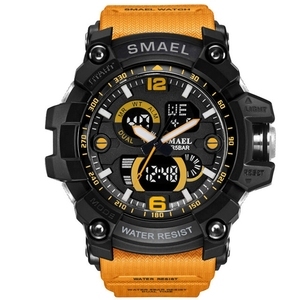 Alibaba.com offers 31,281 led watch watch products. About 43% of these are wristwatches, 3% are mobile phones, and 1% are smart watch. 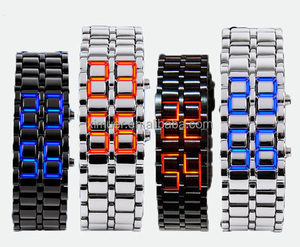 A wide variety of led watch watch options are available to you, such as digital, charm, and fashion. You can also choose from alarm, auto date, and day/date. As well as from not specified, stainless steel, and leather. 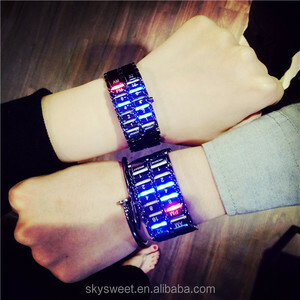 And whether led watch watch is men's, unisex, or women's. 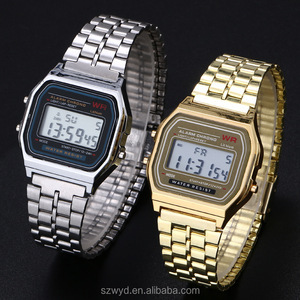 There are 31,281 led watch watch suppliers, mainly located in Asia. The top supplying country is China (Mainland), which supply 100% of led watch watch respectively. 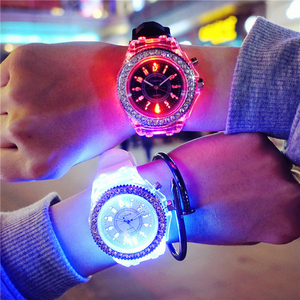 Led watch watch products are most popular in North America, Western Europe, and Domestic Market. You can ensure product safety by selecting from certified suppliers, including 4,522 with ISO9001, 4,211 with Other, and 706 with ISO14001 certification.